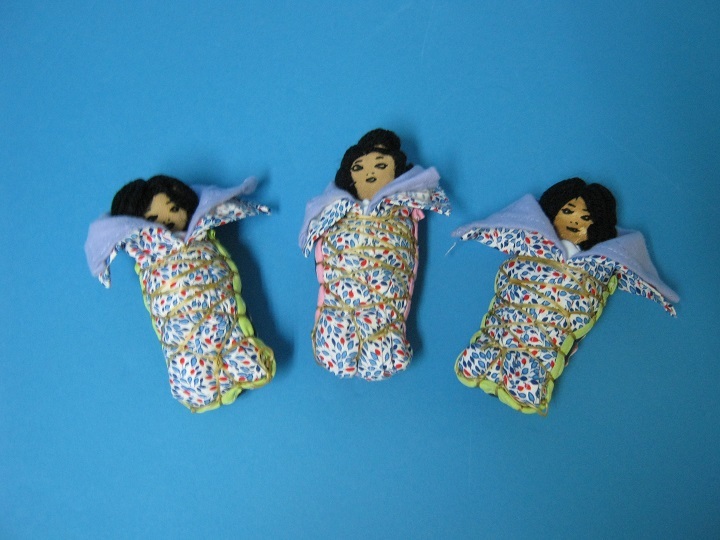 The nomadic Innu or Montagnais of Labrador have a tradition of keeping tea inside dolls as part of an emergency supply and to make it easier to transport from camp to camp. These unique dolls are handmade and make nice gifts. One doll measures 13 cm long and 6 cm wide, weighing 60 grams.